The Gooding House and Tavern was built by George B. Gooding halfway between the towns of Worthington and Delaware in 1827. Its location was influenced by construction of the Columbus and Sandusky Turnpike that was chartered by the State of Ohio the year before. Also known as the “Mud Pike,” the turnpike was slow and difficult for travelers and could take nearly a day to travel 10 miles. The Gooding House was the perfect place for stagecoach drivers to change teams of horses and for travelers to rest and have refreshments. George Gooding also prospered as a farmer with over 1,000 acres of land. 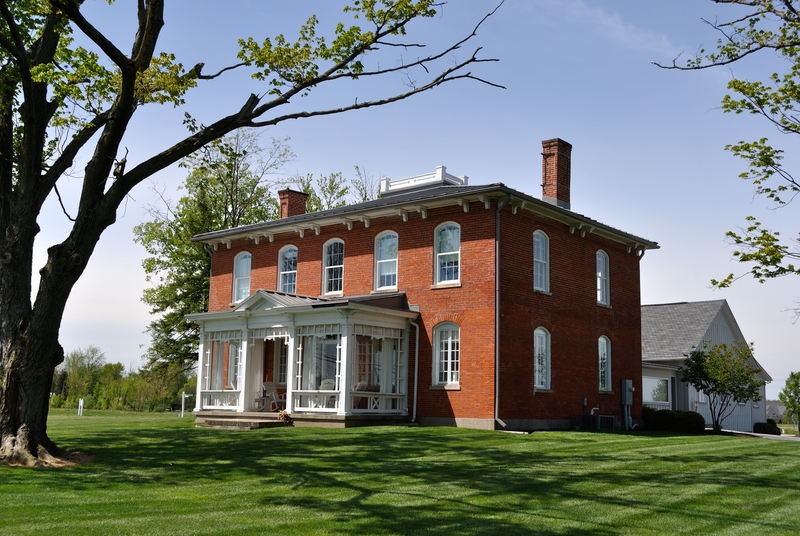 This stately brick farmstead remained in the Gooding family for 175 years with each succeeding generation adding its imprint on the property. The Gooding House and Tavern was listed on the National Register of Historic Places in 2005 and restored in 2007. Event Co-Chair – $5,000 Event Sponsor – $2,500 Event Host – $1,000 Event Patron – $250 $100 per person/couple to attend.